The sweet taste of Graduation cookies is almost as sweet as graduating. 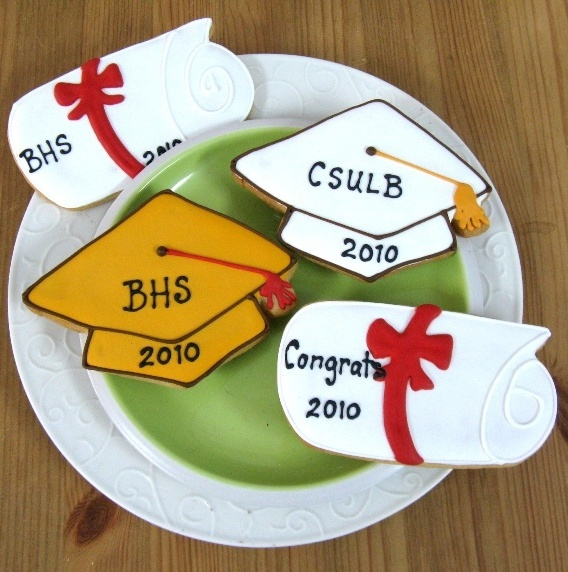 Decorated graduation cookies measure 5" x 3 1/2" and the scrolls are 4 3/4" x 2 1/2". Each is wrapped in a clear cello bag with coordinating curling ribbon.